Even for the most experienced flower child, the world of concentrates can be intimidating. It feels like every time you visit the dispensary there’s a brand new extraction incarnation under the counter. Trying to wade through this myriad of choices can be a real head-scratcher. That’s why knowing some concentrate brands and what they make can go a long way to help you feel confident and comfortable about using them. “Concentrate,” aka an extract, is really just an umbrella term for extremely strong, or concentrated, marijuana products resulting from a specific extraction process. They come in several distinct types like oil in vape cartridges, shatter for dab rigs, and tincture drops to squeeze under your tongue. 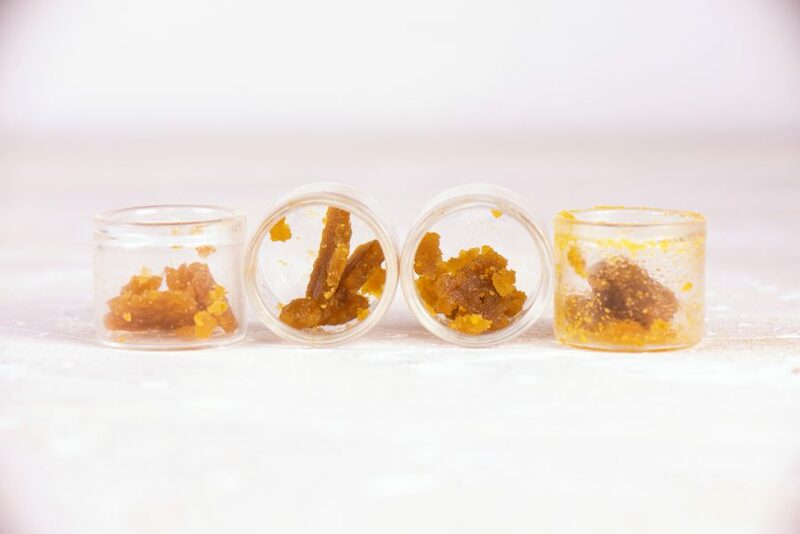 The difference between types of concentrates lies within their extraction method. Some of the most common extraction forms use butane, carbon dioxide, ice water, subzero temperatures and other solvents. Concentrates have become wildly popular, with data showing massive growth in this segment of the cannabis industry. With all the demand for concentrates and all the investment in new products, we’re living in a golden age for the highly potent form of cannabis. Why do people enjoy concentrates so much? They’re highly potent so you don’t need much; some brands boast up to almost 100% THC! For mmj patients, weed reductions are a more efficient way of consuming stronger amounts of THC and/or CBD needed to effectively manage their symptoms and conditions. Those with more grave illnesses vape or eat them for more convenience and less lung stress. On the other hand, for recreational users, concentrates are newer, more potent ways to relax in the ever-evolving world of cannabis consumption. Now let’s check out some of the more notable concentrate brands. With all the demand for extracts, concentrate brands are coming out with great new products for practically every cannabis user. While this list includes several companies with vape cartridges, we wanted to include brands making concentrates beyond the usual carts or wax. There are so many high potency products out there, so spread your wings and open your mind to trying them all! ABX has quality vape cartridges, made from 100% cannabis oil and available in specific strains. But the company also has some really awesome options beyond just carts for you California patients. If you’re wary of smoking or any form of inhalation, try their ABX Cannabis Soft Gels. These capsules have three simple ingredients: cannabis oil, coconut oil and gelatin. They come in three doses, 10mg ($15, $50), 25mg ($20, $75) and 50mg ($40, $100), each available in with 5 or 24 soft gels. They might seem a bit pricey, but if you’re looking for perfectly dosed, long-lasting relief these concentrated gel caps are worth it. This concentrate company makes a great CO2 oil derived from cannabis sourced from sustainable, small batch family farms. 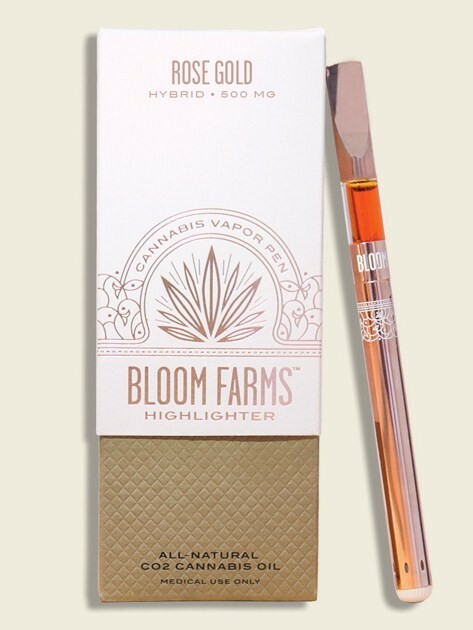 It’s available in indica, sativa, hybrid and CBD refill cartridges ($30) or with their cute, sleek vape pens, or “highlighters” ($50)—truly the California way! 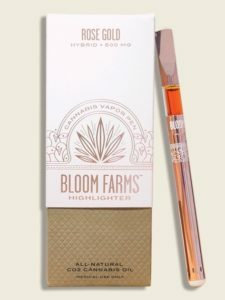 If you’re looking for a more refined concentrated experience, try their strain-specific “Single Origin” cartridges (around $35) and their newest, most stylish and luxurious vape pen, “Rose Gold” (about $60). The revamped model has a new design, gold finish and FDA grade hybrid cartridge. All carts contain 500mg of THC or CBD, are cost-effective and last around 150-200 puffs. Bloom Farms doesn’t just provide medicine. As a one-for-one company, they give back to the community by donating a meal to someone hungry for each of their products sold. Looking for a totally pure, solvent-free concentrates? Look no further than The Clear. The brand endeavors to make the cleanest, strongest and most pleasurable cannabis products on the market. Their non-BHO purification process involves winterizing, removing unwanted and unhealthy plant fats, and decarboxylation, activating the THC inside to ensure the best product. With up to 96% THC, their translucent oils are ideal for mmj patients looking for serious pain relief. 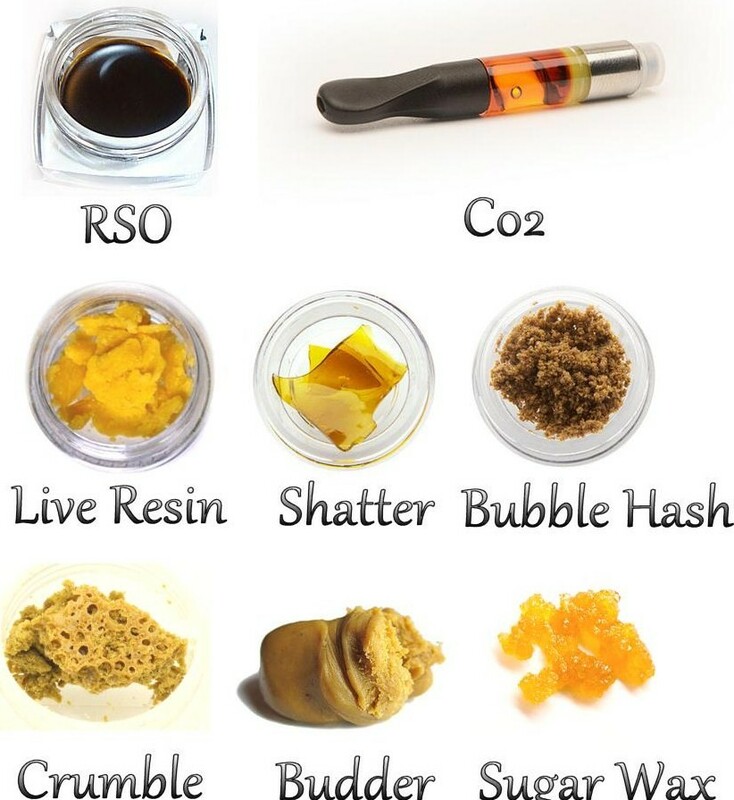 All their concentrates can be smoked, vaped, dabbed, applied topically, and even eaten! 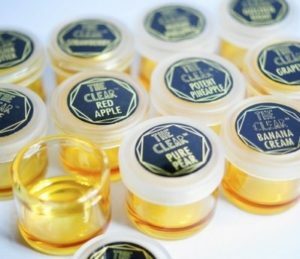 The Clear’s medical focus has allowed them to create an eclectic variety of concentrate-based products. These include: rosin, saltwater hash, honey buckets, and balms. They’ve also partnered with Clean Healing to create the first line of infused pizza sauces! 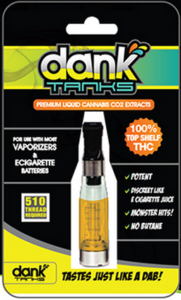 Dank Tanks offer a butane and tar-free premium cannabis oil, wax, crumble and shatter. All concentrated-based products are sourced from the best medical marjiuana and derived from a supercritical CO2 extraction process. While their other products are great, their 510-threaded cartridges are the best value, as one gram (about $40) lasts up to 150 hits. The company claims they taste just like a dab, only without the hassle or harshness. Overall, the sweet, fruity flavor and an effective high are perfect for a very mellow, lazy afternoon. 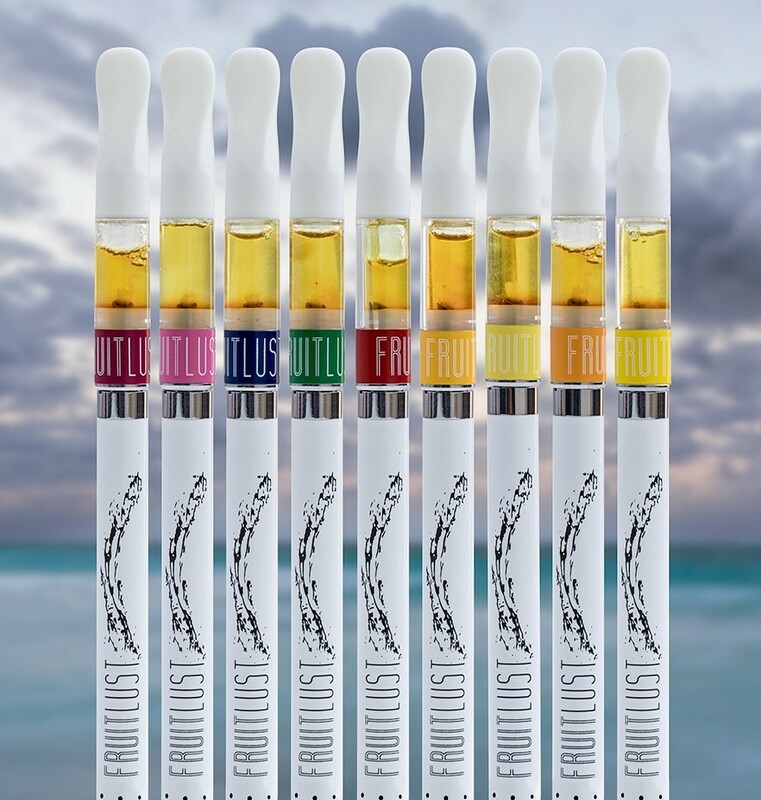 Made from Humboldt-farmed, pesticide-free cannabis, these fruit flavored vape pens are expertly crafted. They contain THC levels between 58%-62%, look super sleek and modern, and are very affordable ($35). But what really makes this brand unique is their wide range of natural fruit flavors enhanced with proprietary terpene blends. Try all ten: apple, banana, blueberry, grape, grapefruit, lemon, pineapple, raspberry, strawberry, and tangerine. 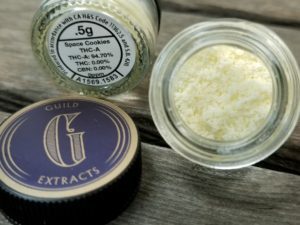 Guild Extracts is a whole new type of concentrate brand. They’re a team of extraction scientists really pushing the envelope on R&D and product innovation. 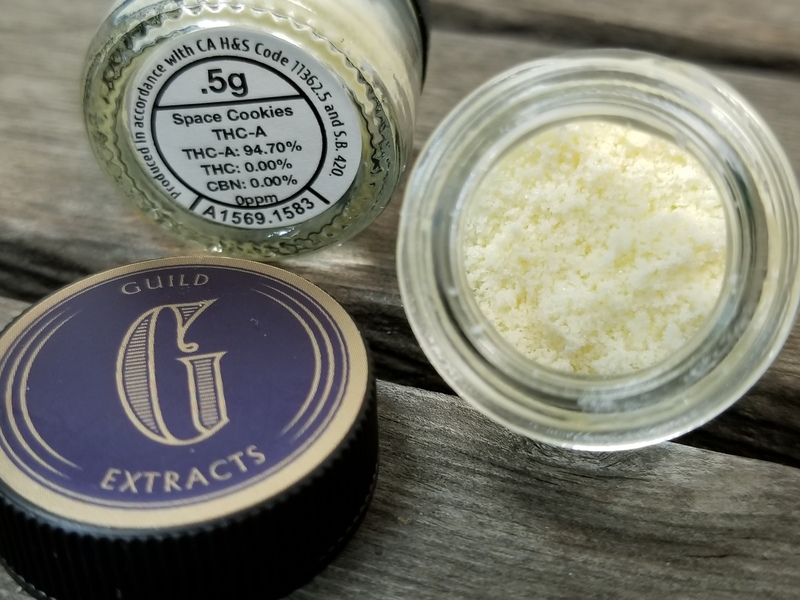 Guild caused quite the stir throughout the cannabis community by releasing extracts that don’t look like your average cannabis product. Take, for example, their strain-specific THCa Cystalline, a pure isolate that tests at 99-100% potency and costs $110 for .5 grams. It converts to THC when vaped or is non-psychoactive when ingested orally. They also have a CBD version as well as THCa Powder, another of the purest extracts in the world. 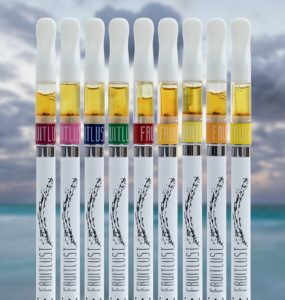 The brand also has more mainstream concentrates like their vape cartridges, shatter, CBD Sap (great for mmj patients), sugar, high terpene extracts (HTE), and, my favorite, live resin. 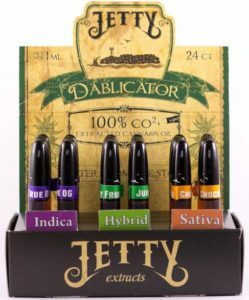 San Diego’s Jetty Extracts have a pretty full line of extracted products, including CO2 vape cartridges, e-juice and CO2 wax. 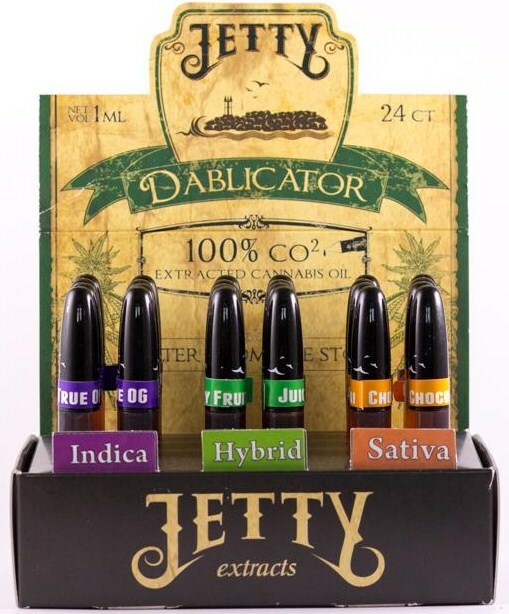 But their coolest product has to be “the Dablicator” ($50). Way less messy than a syringe and much more accurate that grabbing whatever amount of wax you want, this dope little device is full of high-quality CO2 wax concentrate and only needs a few turns to dispense. In my opinion, Jetty is one of the most refreshing, potent California concentrate brands so certainly give it a try…even Tommy Chong thinks so. Quality Concentrates is focused on making an impact for medical cannabis patients. As a result, they produce pure, potent, high quality concentrates in a high-tech lab using bio-tech stainless steel hydrocarbon extractors. Made from plants they grow themselves, their concentrates come in a variety of strains: XJ-13, a sativa-dominant hybrid with a low level of CBD and high level of THC that can help with depression and pain relief; Critical Kush, an indica-dominant hybrid made from Critical Mass and OG Kush great for anxiety relief and sleep; and many more. 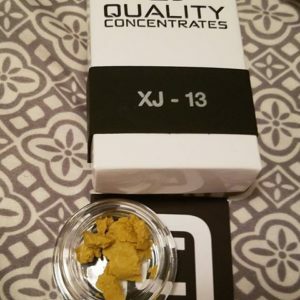 Quality Concentrates are reasonably priced at $20-$30 for a half gram. Interested in making your own extracts? Nugg’s affiliate partner, GreenBox Grown, offers tools that allow you to press your own rosin, make dry sift hash and even produce your own bubble hash. If it’s flower you’re into, GreenBox Grown also provides tutorials, videos, one-on-one guidance and more to make it easy for first-time growers to succeed. For a limited time, the company is offering a two-week free trial to their entire video library. With more than 250 videos that feature everything from growing indoors, growing outdoors to harvesting and curing to making your own extracts, GreenBox Grown simplifies the process so that you can grow quality cannabis from the privacy and comfort of your home. I want to try Bloom Farm. Your website is really interesting! Your products are really amazing!